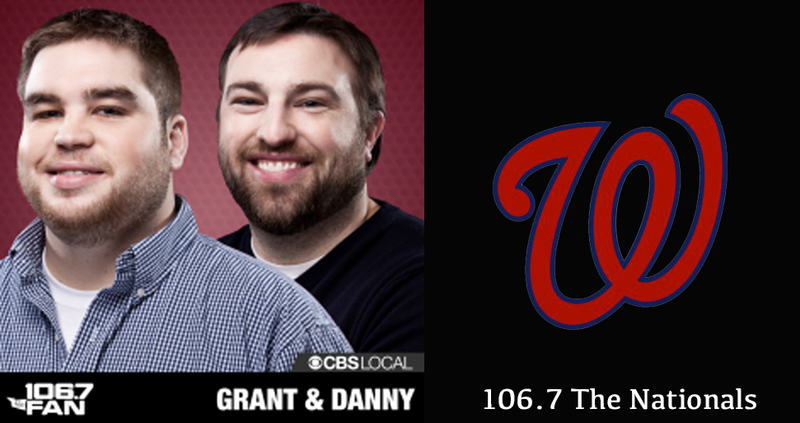 The idea came after lots of discussion behind the scenes at 106.7 the fan, and with the Nationals interest peaking after a 9 game winning streak in which 4 of the last 5 were dramatic walk-off victories the station put the plan into action Thursday. The station even got their voice guy to record a new "106.7 The Nationals" (instead of The Fan) sound drop. Thursdays show turned out to be a big hit with Nationals fans and is probably a Deadspin worthy bit, but it was upsetting some Redskins fans on Twitter who would rather talk about the 4th string outside linebacker's performance in the 4th quarter of a preseason game. A whole 4 fans were upset. @funnydanny @Nationals @granthpaulsen ur ratings just dropped for today! Go Redskins and O's! @granthpaulsen love u guys. Love the Nats, but I hope they get pummeled just so I can get Redskins talk back. The Nats will have 4 games before the start of next week, so I'm not sure how the radio station will actually feel if they have to continue the bit next week.